Déborah François Having charmed audiences around the world with her role in the hit French romantic comedy Populaire, Belgian actor Déborah François is one of Europe’s most in-demand names. This year sees the release of her latest project, the Western, Never Grow Old, which she stars in opposite Hollywood’s John Cusack. We met up with the Liège native to find out what else she has in store. Design Special: Discover Top Flemish Fashion Flanders has always been a dream destination for fashionistas. This month, we discover some of the region’s most stylish brands. Company profiles, regulars and more We look at the month ahead in Benelux business, as well as profiling the event-planning firms you need to know about. Gourmet Guide Calling all foodies! We present a mouthwatering guide to the Benelux region’s culinary delights. Belgium and Luxembourg: Best Museums, Art & Cultural Hotspots This month, we hone in on some of the finest cultural and creative hotspots in Flandwers, Wallonia and Luxembourg. Tourism Special: There’s No Place Like Flanders From famous cities such as Antwerp to the rural highlights of the Limburg province, Flanders has all the ingredients for an unforgettable escapade. Top Dutch Education: Building a Bright Future Dutch schools, universities, and research centres excel on the worldwide stage, so we decided to take a look at some of the country’s finest educational establishments. We are a media you can trust. The print circulation of Discover Benelux is audited by the Audit Bureau of Circulation (ABC), which is the UK body for media measurement. © All rights reserved. 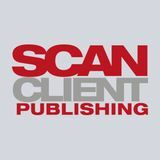 Material contained in this publication may not be reproduced, in whole or in part, without prior permission of Scan Group – a trading name of Scan Magazine Ltd. This magazine contains advertorials/promotional articles. Welcome to the April edition of Discover Benelux, where we are stepping into the new season with a guide to some of the region’s finest cultural and creative hotspots, a Dutch education special, and a look at some of the top places to visit in Flanders. We also profile some of our favourite Flemish fashion brands – in case, like me, you were looking for an excuse to give your wardrobe a little spring clean. This month, I had the pleasure of interviewing Belgian actor Déborah François, who was discovered by the filmmaking duo Jean-Pierre and Luc Dardenne at the age of just 16. Now 31, she has a long list of credits to her name, ranging from playing Fleur Duval in the drama Le Premier Jour du reste de ta vie (The First Day of the Rest of Your Life) to Rose Pamphyle in the charming French romantic comedy Populaire. François – a Liège native – is currently promoting Never Grow Old, a Western which she stars in alongside Hollywood’s John Cusack. She may be making waves across the Atlantic, but François is still as proud as ever of her Belgian roots, something which became very apparent as we discussed the huge success of her country’s film industry. From the global acclaim achieved by newcomers such as Lukas Dhont to icons of cinema like the Dardenne brothers, the concentration of talent is extraordinary for such a small country. Now that spring is in full swing, do not forget to check out this month’s cultural calendar, which is bursting with ideas to help you make the most of the longer days. Of course, April also brings with it King’s Day, where King Willem-Alexander is celebrated across the Netherlands, not to mention a host of Easter-themed activities for all the family to enjoy. I hope you will find the following pages brimming with ideas and inspiration for a happy and fulfilling month. ance. Nr4 also has its own house brand, Très-Elle, focusing on comfort and playful prints. “We designed the Très-Elle range to offer items we couldn’t find anywhere else at an affordable price,” Haemhouts explains. The company does not just want to dress plus-size women, it wants to make them feel comfortable and welcome, too. Clients are received with a smile and a cup of coffee. The shop assistants in Nr4 boutiques are mostly plus-size themselves, with first-hand experience of the pains of shopping in regular clothing stores. They are also well-versed in clothing alterations, so that clients walk out with pieces that fit like a glove. “Shopping as a curvy woman can be an excruciating experience. We don’t just offer clothing tailored to our clients, but an environment in which they can feel valued and recognised, too. Many women walk into our shops after countless disappointments on the high street, but they always walk out with relief, and a beautiful outfit to boot. That’s what we aim for,” concludes Haemhouts. with the name of the customer. On average, the turnaround at Hoet Optiek is about two to four weeks. Hoet Optiek’s 3D-printed designs are produced in Belgium and available in titanium (Hoet Couture) and nylon (Cabrio), with the latter being the cheaper of the two. The main difference between these models is that titanium offers more possibilities for design. “Our Hoet Couture designs are more refined, including, for instance, unique embroideries of gold or platinum wire,” Ghesquière explains. “Our hightech expertise and in-house creativity turn our designs into true treasures.” All Hoet Couture designs are available in light or dark grey coating. Now that Hoet Optiek is also able to create their nylon Cabrio designs through 3D printing, their operations have become significantly more sustainable. “The great thing with offering something tailor-made is that there’s no need for creating stock. We only ever print what we need, which means that we don’t produce any waste – and that, of course, benefits the environment,” Ghesquière explains. he runs the Brussels and Bruges stores together with his wife Lieselotte Hoet, all eyewear is designed by Lieselotte’s father and sister, Patrick and Bieke Hoet. “They each really have their own style, which keeps our collections unique and versatile,” says Ghesquière. “One of our longest running collections is the Theo line, which is available in over 1,400 stores globally.” The iconic collection emerged when Patrick Hoet and his colleague Wim Somers decided they wanted to offer people something other than the mainstream glasses that were selling in the late 1980s. Light, modern and unique, the Theo glasses were groundbreaking then – and still are today. “Throughout all those years, originality and innovation have always been at the heart of our business,” Ghesquière concludes. Interested in getting your own pair of tailored glasses? Visit the Hoet Optiek website, or check out their shop in Bruges or Brussels. Whether you are an art aficionado, a history buff, or simply craving some cultural satisfaction, Belgium and Luxembourg are brimming with museums and galleries. Step back in time Keen to learn more about how people lived 100 years ago? Then head to the superb A Possen museum, set in a historical village in the Luxembourg Schengen commune. There, you will gain an insight into rural life before the industrial revolution. In Belgium, an absolute must is the renamed Art & History Museum (formerly The Cinquantenaire Museum), located in Brussels’ famous Cinquantenaire Park. The historic building covers 68,000 square metres and boasts artefacts from most civilisations and all continents. casing everything from rare religious relics to oil paintings and beautiful jewels, the museum highlights Wallonia’s heritage as well as influences from further afield. Also in Wallonia, is the wonderful city of Tournai, where any visit should begin with a wander around the magnificent Victor Horta designed Musée des BeauxArts (Museum of Fine Arts). National and international In Flanders, you will not want to miss the Museum of Contemporary Art in Antwerp (M HKA). This cultural-heritage institution of the Flemish community showcases art, film and visual culture from national and foreign artists. Also well worth a visit in arty Antwerp is the unique IBASHO gallery, where you can explore the finest Japanese photography. This is revered Japanese photographer Hitoshi Fugo’s first solo exhibition, featuring work produced from the early 1980s to the early 2000s, during his travels across India, Mexico and the United States. Fugo’s mesmerising work – free from a specific time or location – is an expression of the artist’s inner world. In this unique museum space designed by Victor Horta, the Musée des Beaux-Arts in Tournai looks at 19th-century paintings under the watchful eye of one of the greatest Belgian writers of the time, the Symbolist poet and novelist Georges Rodenbach. Monet, Gallait, Rodin, and many others are revisited. This marks French artist Laure Prouvost’s first exhibition in Belgium and her largest to date. Showcasing work ranging from her formative ‘monologue’ video works, through to recent major installations, this thought-provoking exhibition offers a wide-angle panorama of the artist’s career. The Museum of Contemporary Art in Antwerp (M HKA) is a cultural-heritage institution of the Flemish community that showcases art, film and visual culture from national and foreign artists. Boasting a rich and varied collection of more than 5,000 artworks, it aims to continue the city’s avantgarde tradition while still looking to the rest of the world. the future museum for contemporary art, which would be the city’s first and was to be built on the surrounding plots. “Unfortunately, the building was demolished, but the spirit of Matta-Clark and his artwork was very important for the museum’s foundation,” explains Bart De Baere, general and artistic director. The Foundation Gordon Matta-Clark helped fund the museum with works donated by national and international artists. Officially established in 1985 and inaugurated in 1987, the M HKA opened with 150 works from the foundation. Its first exhibition was dedicated to the work of Matta-Clark. ing for unknown and emerging artists,” says De Baere. The permanent collection, which includes iconic masterpieces by artists such as Jan Fabre, Luc Tuymans, Cindy Sherman and Marlene Dumas, is free to visit on the ground floor. Noteworthy is Keith Haring’s mural dating to 1987, housed at the M HKAFE and one of his few public European projects. Must-see exhibitions currently on view include Am-Big-You-Us Legiscon, French artist Laure Prouvost’s first exhibition in Belgium and the largest to date, which can be seen until 19 May, and Lars von Trier’s Melancholia: The Diamond, his first work in more than 20 years, shown until 5 May. Scheduled to take place from 4 October 2019 through 19 January 2020, the museum will host a retrospective of Belgian poet and painter Marcel Broodthaers. UNESCO-listed cathedral If world-class architecture is your thing, then do not miss Tournai’s star attraction, the Cathédrale Notre-Dame. This impressive structure is the only UNESCO-listed cathedral in Belgium and dominates the city’s skyline with its five impressive bell towers, which have been extensively renovated in the last couple of years. The interior is just as striking, itself a fine mix of Gothic and Romanesque architectural styles, complemented by an impressive rose window. Just a short stroll away lies another of the city’s attractions – its belfry. The oldest in Belgium, this belfry is 72 metres high and, with its 257 steps, rewards visitors with picture-postcard views over the surrounding streets and countryside. “On a clear day you can even see France,” adds Jean-François. Musée des Beaux-Arts Art aficionados will love Tournai. The city is home to the impressive Musée des Beaux-Arts, which was created by Art Nouveau design genius Victor Horta. Inside, visitors will find a wealth of art, including two major works by Manet, as well as pieces by Rubens, Monet, Van Gogh, Gallait and Tournai-born Rogier van der Weyden. And if that was not enough, Tournai has plenty to offer visitors in the way of food and drink, too. Whether you are looking for rustic Belgian fare or French inspired cuisine, Tournai has a great selection of dining establishments to cater for your every whim. However, a visit to Tournai is not complete without tasting one of the local craft beers, available in the many cafés lining the beautiful Grand Place and the bars scattered throughout the quaint centre. gle.” Indeed, only seven per cent of the museum’s collection is exhibited and, in the 1980s, the museum lost a third of its overall surface area to vintage car museum Autoworld. These hurdles have spurred the institution on to draw on its impressive stored collections, such as its acclaimed Japanese prints and vast set of altarpieces (the world’s largest), for temporary exhibits. Finally, the plaster-cast workshop holds a monumental 4,500 reproductions. “Imagine a 3D library, with moulds of pieces that no longer exist,” says De Poorter. Using only traditional techniques, the workshop offers a vast catalogue for sale, with some pieces weighing hundreds of kilogrammes. An amazing way to own a little piece of art… and history. Beyond the name change, the museum is turning over a new leaf with ambitious projects, such as the reconstruction of iconic jewellery store Wolfers Frères, designed by famed Art Nouveau architect Victor Horta in 1912. The original entrance doors frame a similar-sized room, replete with red mahogany counters, green velvet furnishings and bronze highlights, as well as original jewellery pieces, for a journey through time. The restoration of a Copt mummy wrapped in ornate fabrics is also underway and will be the centrepiece of upcoming exhibition Crossroads. Nestled inside the Hôtel de Gaiffier d’Hestroy, in the Belgian city of Namur, is the Museum of Ancient Arts of Namur (TreM.a), home to some of the country’s most treasured art collections, from the Middle Ages to the Renaissance. From rare religious relics to oil paintings and jewels, the museum is a showcase of Wallonia’s heritage as well as influences further afield. TreM.a first opened its doors in April 1964, after the elegant, French-style residence was donated to the Province of Namur in 1950. The museum boasts a rich permanent collection, including the Treasures of Oignies – a grouping of over 50 pieces from the 13th century. The primarily religious treasures range from silver and brass ornaments to altarpieces, and have been classified as one of the Seven Wonders of Belgium. Reliquaire de la côte de saint Pierre, coll. FRB, inv. TO5. um’s impressive toy collection, including ancient dolls, teddy bears, model trains, wooden games and tin toys. “I can’t pick a favourite,” says tour guide and workshop host Nadine Humbert-Pizzaferri, “we have too many gorgeous pieces.” A popular stop on the Moselle wine route, the folklore museum attracts around 5,000 visitors every year, from families and senior clubs to wine enthusiasts and schools. Many activities are specifically tailored to children, with a monthly workshop dedicated to sewing, arts and crafts and popular holidays. Adults are far from neglected, with a series of lectures and thematic tours involving bespoke activities, such as wine tasting and a cellar visit, a hike in the local vineyard or an architecture-led walk through the picturesque village. Another highlight is the recently reopened museum restaurant Wäistuff A Possen, an ideal spot to sample regional cuisine and delicious local wines. culty. A degree in the highest level of them all also provides you with an entrance ticket to commence hbo-studies afterwards. This way, no door ever really closes on you within the Dutch education system. Those who want to, can always work themselves up to a higher level if they are motivated enough. In this month’s special guide, we present our top pick of the region’s finest educational establishments: for everyone from the youngest learners to the perpetual student. THE NETHERLANDS’ TOP SECTORS: Although Dutch talent can be found in all fields, they play a global pioneering role in nine sectors in particular. In these industries, they are world champions Agriculture and food While combining productivity, quality and safety, the Netherlands is leading the rest of the world towards a sustainable food industry. High-tech systems and materials High-tech is more than gadgets and luxury items. Dutch innovators create state-ofthe-art solutions for a range of social challenges. Life sciences and health In the Netherlands, top-notch healthcare is available to everyone. Yet, even more than curing illnesses, they aim to prevent them and increase quality of life. Chemistry Today’s chemistry industry in the Netherlands focuses on relevant subjects like climate, circularity, food, mobility and health. It has, therefore, a significant global impact. Logistics As a well-connected country in the heart of Europe, the Netherlands proves its talent for logistics on a daily basis; on land, at sea and in the air. Creative industry As a country of innovators, the Dutch combine their limitless fantasy and urge to create with a fascination for new methods and upcoming platforms. Horticulture The cultivation of both flowers and vegetables is blooming in the Netherlands. Its long history in growing crops makes their produce popular at home as well as abroad. Energy With its long history of building windmills, the Netherlands is well on its way to becoming climate neutral. Their expertise, they happily share with the rest of the world. Water and marine As a water-drenched country, the Dutch are experts in protecting themselves against it and using it to their own advantage. The power of water is never underestimated in the low countries. tor is also very approachable and likes to be available for all members of the university community.” An open culture like this also stimulates cross-fertilisation between different departments and faculties. “As a research-driven university, we don’t believe in isolating specialties,” explains M’doe. “A versatile institution like ours contains a wealth of knowledge in a myriad of fields. When our students conduct research, they are therefore strongly encouraged to look behind the borders of their proper expertise and collaborate with students from other programmes.” This collaborative approach has earned the school a splendid international reputation. The University of Groningen is listed in double digits in just about every global university ranking there is. Among others, it was awarded 66th place on the prestigious ‘Academic Ranking of World Universities’ and came in 79th place on ‘THE World University Rankings’. the Netherlands, or even Europe. Because how do they handle financing issues in India? Or how do they use mass media in Russia? To provide them with that kind of knowledge as well, we introduced ‘the international classroom’. Our students read and learn about their trade in a worldwide context and are taught by professors and lecturers from all around the world. By wearing a global hat as well as a Dutch one, we prepare our students for careers in an international environment or in all corners of the world.” University of Groningen in numbers With its 405-year history, the University of Groningen is the Netherlands’ second-oldest university. Spread over 11 faculties, 30,000 students follow one of the university’s 48 Bachelor’s programmes and over 100 Master’s programmes. 7,000 of them (or 22 per cent of the school) are international, combining 120 different nationalities under one university roof. information obtained from DNA sequences quickly into plants with modified traits, and thus to increase the genetic variation available for plant breeding. The revolutionary CRISPR-Cas technique is currently attracting broad interest because of its potential contribution to improving the sustainability of food production, reducing environmental impacts, and improving human health. These applications also raise important questions about risks, benefits, ethics, equity and more. should be regulated as such. This is not the case for conventionally mutated crops, made with techniques such as radiation and chemical treatments which cause many, random mutations but have already been in use since the 1930s, so there is a lot of knowledge about their safety. CRISPR-Cas is much more precise, but does not have that kind of track record yet, and therefore comes under the strict GMO regulation. The court’s decision was met with disbelief by biotechnology experts and plant breeders alike, especially because many other countries including the US, Canada and Japan have decided not to regulate as long as the introduced mutations are indistinguishable from natural mutations or classical mutagenesis. How it works “In lectures, I often clarify the technology with the tomato,” says Ernst van den Ende, managing director of the Plant Sciences Group of Wageningen University and Research. “The tomato has a genome of almost a billion DNA letters. When you compare a current commercial tomato with its wild ancestor, on average you see a difference of twenty million DNA letters. That difference came about through breeding and using radiation or chemical treatments, without regulation. With CRISPR-Cas just one or a few letters get changed in the DNA, but because it’s done in a laboratory, the European court considers it genetically modified.” The court ruling is a spanner in the works for many scientist and plant breeding companies that would like to start using the fairly cheap and simple technology. “It’s such a shame, as the technology has so much to offer,” continues van den Ende. granted it the sixth position in the category ‘best hospitality and leisure management university’. make it easier for teachers to stay on top of individual student development. And there is more time and space for students to have their voices heard and ask questions.” The school is noticing a growing demand for electronics courses. Where IT used to be limited to technical systems such as climate control or ATM systems, the emergence of IoT has made these technical systems much more complex. As a result, working on these systems now requires a whole different skill set, which is why more and more organisations reach out to Dirksen for IT learning programmes that are customised to the specific needs of their employees. feedback. One even said that these eight weeks taught them more than their fouryear full-time MBO (secondary vocational) degree!” A similar collaboration has been kicked off with the Royal Netherlands Air Force (De Koninklijke Luchtmacht) earlier this year. As part of a learning trajectory carefully mapped out by the air force, Dirksen provides a technical training programme. During the course of 20 weeks, ten future Air Operations Control Station or Patriot Missile System employees are trained in Dirksen’s Tilburg based training centre. mentor is key. With a comprehensive knowledge of the industry as well as an ability to recognise the importance of personal development, these mentors are needed to coach students in their learning paths. number of local businesses reach out to Nova College for learning collaborations. In Haarlem, the school has close ties with many of the city’s top restaurants. The atmospheric city is known for its entrepreneurs and culinary quality and has proven to be a fantastic learning ground for Nova College’s hospitality students. For this same reason, the school organises competitions. As part of the school’s excellence programme, students can take part in the national Skills Heroes competition. From cooking to beauty care to hosting and account management: it is the ultimate opportunity for students to present their skills. Van Ede: “A healthy dose of competition can do a lot for someone’s motivation, and it also teaches students how to deal with the competitive aspect of business.” Both last and this year, the national title for best hostess was won by a Nova College student. Whether you are a prospective student, a teacher or a business that is interested in bespoke education: find out how Nova College can help by visiting their website. Jacob-Jan van der Marel (left) and Ruben van Merweland (right). ucational and professional background in business, a need for doing something more impactful took him to education. IV Estate strikes the perfect balance: in setting up special enterprises or social projects that have positive change in education and care at the heart of them, initiatives are driven from the bottom-up. partners, IV Estate sets up or takes part in projects centred on education and care. Van der Marel: “A school came to us as they had trouble engaging students with talents for things outside the traditional school curriculum. As a result, we started Stichting Masterclass Jong Talent, a foundation that celebrates all talent by delivering extracurricular master classes in art, technology, music and theatre.” These high-quality workshops are the foundation of a very strong talent programme, allowing children who otherwise might not have been able to, to keep working on their special talent outside the walls of a classroom. Van der Marel in conversation with Saja Katte (teacher) and Yoran Bos (The Talent House). Yoran Bos (The Talent House) and Saja Katte (teacher) in conversation about smart technology. Starting young By 2009, natuurkunde.nl was a raging success, but the strong focus on teenagers meant that there was still a lost opportunity. “Children should ideally be exposed to science as young as possible, as this can significantly increase the chance of them developing a keen interest in the subject,” De Graaf tells us. Different approaches Within its after-school offering, the Jeugdtheaterhuis applies two different approaches: product-orientated journeys and process-orientated ones. “We see different kinds of children arrive here. Some are eager to perform straight away. Others prefer experimenting and niggling to create something of their own. We provide a creative bubble for both types of aspiring actors. In our house, everyone can explore theatre how they want to.” From this year on, the Jeugdtheaterhuis is offering a third option as well: Acteerlab. This programme is not bound to a static structure and a list of objectives but grows organically throughout the years. “The internet is a big competitor for organisations like ours. Many children unwind online nowadays, completely free, without timetables and guidelines. To make our association more appealing to them, we created this class, the curriculum of which gets determined in dialogue with the pupils themselves. It is a very exciting, intuitive and collaborative way to work with theatre.” The fourth trajectory they offer focuses on musicals, an art form that, according to Ham, is one of the hardest to master. Therefore, they do not just train their students’ acting, singing and dancing skills, but they also teach you how to do all three at the same time. wide in 2017. This test is delivered under strict examination conditions three times a month at numerous locations in the Netherlands, Belgium and Luxembourg. It comprises four components: reading, listening, writing and speaking, and uses a nine-band scale to clearly identify levels of proficiency, from non-user (band score 1) through to expert (band score 9). Fair to all IELTS treats all test takers with the utmost fairness and respect by actively avoiding cultural bias, and accepting all standard varieties of native-speaker English, including North American, British, Australian and New Zealand English. US or Australia. It is accepted by over 10,000 institutions across the world. To help prepare for the test, the British Council provides 30 hours of free online study materials, comprising multiple exercises, instruction videos and tips for maximising the exam result. In addition, there are a number of different apps, so that you can study wherever and whenever you want. They also offer live Facebook sessions with IELTS experts, and free online courses several times per year. Tailor-made training on experimental methods in wastewater treatment. Students in front of the building celebrating World Water Day 2018. Students in front of IHE Delft building with Delft blue art tea cup. UNESCO, and are now independently operating under their auspices.” IHE Delft also advises international organisations and governments about water management and governance. Alumnus Diego Restrepo Zambrano indicating the potential height of the flood water. Diego is a hydroinformatics specialist in Bogotá, Colombia. Photo: Gil Garcetti. If there is something our economy needs more than anything else, it is talented, enthusiastic and independent doers. At Friesland College, the students learn their trade the practical way. This way, they graduate with a head full of knowledge as well as a pair of practised hands. Now that more and more tourists are finding their way to the beautiful region of Friesland, the tourism-related subjects at Friesland College are gaining popularity as well. Nonetheless, all those aspiring towards a life as a steward or stewardess, have to follow the general tourism programme at the campuses in Leeuwarden and Heerenveen first. “Here, they explore the ins and outs of the travel industry in the broadest sense. They peek behind the curtains at hotels, tour operators, ticket offices, airports and many other dynamic biotopes. If, by the end of the training, they still choose to work up in the air, they can commence the flight-attendant training.” This programme combines a sizeable theoretic foundation with lots of hands-on training. elaborates Wassenaar. The students who enrol at the school come from all ages, regions and backgrounds. “It can be merchant sailors who want to become experts in sailing, or people who are joining friends on a sail yacht, and want to be able to help on the ship during the trip.” This diversity and passion make the school the biggest sailing network in the world, creating all kinds of initiatives amongst the students. “We are really proud of the fact that almost a third of students who enrol are female. Sailing is still predominantly a man’s world, so seeing our female students becoming captains of tall ships is amazing,” smiles Wassenaar. LanguageOne in facts LanguageOne has schools in Dubai, Abu Dhabi, Doha, Muscat, Perth, Singapore, Hong Kong, Shanghai and Suzhou, and operates a distancelearning school. All LanguageOne schools are accredited for the Dutch language programmes by the Dutch Ministry of Education. Current market demand led to LanguageOne offering English to repat children wanting to maintain a (high) level of English upon return to the Dutch school system. The New School open day will take place on 26 May. teachers corrects it and provides feedback.” After completing the training, Leesprofs will send follow-up emails with small exercises and extra tips. These will trigger you to apply your freshly-gained techniques in daily life. “What sets Leesprofs apart from other institutions is the scientific substantiation behind the methods we use. They were developed by the Australian air force in 1969 and have been kept up-to-date ever since. Every time new knowledge about reading surfaces, we adjust our methods to those new insights.” Today, these techniques are taught in no less than 36 countries. And for good reason: studies show that once you master them, your reading abilities will remain improved for the rest of your life. “I’m so happy for my country,” smiles François, as she reflects on the phenomenon that is Belgian cinema. From the global acclaim achieved by newcomers such as Lukas Dhont to film icons like the Dardenne brothers, for such a small country the concentration of talent is extraordinary. Go west François’ professionalism has clearly stood her in good stead, as the roles keep coming in. This year, she plays the female lead in Never Grow Old, a Western directed by Irish filmmaker Ivan Kavanagh. The film also stars John Cusack and Emile Hirsch, and tells the story of an Irish undertaker and his family under threat in an American frontier town taken over by outlaws. The film was an Irish and Luxembourgish co-production, and was filmed partly in Luxembourg, with François playing Audrey Tate, the wife of Hirsch’s character Patrick Tate. Playing opposite Paul Hamy in L’autre continent. The actor stars in L’autre continent, directed by Romain Cogitore. François portrays Audrey Tate in the Western Never Grow Old. To the east of Leuven lies the magnificent Hageland. If it is a stylish city break you want, then look no further than Antwerp, which the highly respected travel guide Lonely Planet picked as one of its Top Ten Best Cities 2018. This city is home to worldclass shopping, a vibrant diamond trade and the prestigious Royal Academy of Fine Arts, best-known for its fashion department whose long list of alumni include designers Martin Margiela, Dries Van Noten and Peter Pilotto. Art aficionados will not want to miss the city’s numerous cultural offerings, starting with Rubenshuis, the former home and studio of celebrated Flemish painter Peter Paul Rubens. place every ten years. A perfect-sized city to explore on bike, Dendermonde is family friendly and a real hidden gem. Postcard perfect Meanwhile, if you want to make the most of the Flanders region’s stunning scenery, make sure the Limburg province is on your list. Surrounded by orchards of apple and pear trees, the small city of Borgloon, also known as Looz or just Loon, offers a postcard-perfect place to stay. April is typically the time when the region is in bloom, although it is beautiful all year round. Do not miss De Stroopfabriek: a brand-new experience centre all about the region’s delicious syrups and fruit. For three weekends in April, the city of Leuven celebrates all things beer, with tours, tastings and brewery visits galore. Highlights include the Zythos Beer Festival, the largest beer tasting festival of its kind in Europe and the Leuven Innovation Beer Festival, a showcase for pioneering craft breweries. You can also enjoy beer walks, workshops and much more. ishing in the famous Grote Markt in the heart of the old city. There is always a wonderful atmosphere, with the event attracting plenty of supporters. 2019 marks the 17th annual Genk on Stage, a fabulous free event which welcomes well-known and up-and-coming names from both home and abroad to perform at what is always an eclectic entertainment extravaganza. an unmissable event in Europe’s cultural calendar. During a period of ten days, four international festivals can be enjoyed, bringing everything from live music to children’s activities at various locations across the city. It is worth noting this date well in advance, as the famous Bayard Horse Parade takes place in Dendermonde just once every ten years. Next year’s return looks set to be as impressive as ever, with theatrical and musical re-enactments and contemporary performances. Witness the procession of the beautiful Bayard Horse and soak up the magical, once-in-a-decade atmosphere. History & architecture In the 16th century, the expanding city of Antwerp had already established its mercantile reputation as one of the most important trading ports in Europe for products such as spices and sugar. Today, the cosmopolitan city is home to Europe’s second-largest port and still buzzes as it did when it received merchants from every corner of the world. With a current population of approximately 530,000, it is also Belgium’s second-largest city. ploring is Cogels-Osylei, an attractive residential avenue with sumptuous Art Nouveau buildings that will transport you back to the glory days of the Belle Époque. assured that your visit will be both informative and delicious – there is plenty to taste along the way! Heritage sites. However, the town is not crowded with tourists, making it an ideal spot for an interesting, intimate and alternative city trip. That said, once every decade, the quiet town becomes the roaring, folkloristic capital of Belgium, when tens of thousands of eager tourists strike down in Dendermonde to witness the mighty Bayard Steed parade through its streets. Even when the parade does not cross the centre, Dendermonde is still a must-see for all city trippers. With a straight train from almost all the nearby cities, you can reach the town in a heartbeat. Discover the UNESCOprotected city hall with its bell tower and the 14th-century butchers’ hall. Due to its humble size, the city can be explored in just one day and without the usual worming through the crowds. Beautiful buildings and fine arts (among which, two works by Antoon van Dyck) await you in the centre, while the green oasis just outside of the former city walls forms the perfect backdrop for a walk, a bike trip, or some relaxing family time. in the best possible way. With brewery visits, beer walks, tasting sessions, culinary workshops and restaurants focusing on beer, Leuven caters for everyone. Aside from brewing and enjoying beer, Leuven plays a big role in beer science and finding innovative techniques and flavours. KU Leuven does extensive research into the beverage and has launched the Leuven Institute for Beer Research. Breweries themselves are involved too: De Kroon Brewery (just outside of Leuven) sees a team led by ‘Professor’ Delvaux and his son, as they research and develop yeasts that can give beer innovative tastes – think blonde beers with the taste of a dark beer. where gastronomy meets beer as three of Leuven’s top chefs serve their best dishes paired with exclusive craft beers. This weekend also sees a number of workshops, including how to pair beer with cheese, oysters and other appetisers. Leuven Beer Weekends concludes with Zythos Beer Festival, Belgium’s largest tasting festival, where 100 Belgian brewers come together to collectively offer 500 different beers to taste in one single location. Leuven Beer Weekends take place between 13 and 28 April 2019. Treating others with respect is hard. The Golden Rule that we should do unto others as we would have others do to us has still not really caught on, despite being expressed by every major religion over the last two or three millennia. In the workplace we could at least try to talk to others as we would have them talk to us: surely a good foundation for the communication style of any manager, and for colleagues too. still worth applying his ideas to what we say as well. We all share responsibility for the quality and the success of communication, at work and in the social and political spheres. A general commitment to improving the quality of this would be transformative. of the company’s mission or the department’s common goals. Apart from army-related exercises, which can range from rallying in army trucks against other groups or being dropped off and rescued by helicopter, ABC also offers shorter events closer to home. For example, take part in a treasure hunt by motorboat on the famous Dutch canals, sailing, paintballing, city golf or shooting. They would even be able to connect you with similar event organisers in other countries. vehicles, with all equipment and staff members being in-house. On top of that, they have been working with numerous partners in the events industry for the past 15 years, all over the Netherlands. Therefore, they can easily supply locations, bands, catering and boats/restaurants/hotels: theme-related or not. Whatever you require, Sebastiaan Siderius and Gerard De Jong will listen carefully and offer you a personalised plan for the duration, within the budget you have available. Their originality knows no limits. catering, transport, security, event management services and more, Event Park Amsterdam is the perfect place to start. “Event planners come to us with a request for their event. Our independent staff look at what the clients are looking for, send out requests to the partners that meet the specs, who then reply to us with a quote,” Licht elaborates. “We provide their proposals to the client, who then chooses which options are the best and organises the event directly with the partners.” Among these partners are the major hotel chains and inspiring event locations such as Expo Haarlemmermeer and SugarCity. Since its opening in October 2018, Pillows Grand Hotel Reylof has been priding itself on indulging guests with an exceptional level of hospitality. Housed in a historic 18th-century townhouse centrally located in the city of Ghent, the luxury hotel cleverly merges majestic allure with a welcoming and residential atmosphere. modern furniture and soft hues that heighten a sense of tranquility, they all feature delightfully comfortable beds set with fine linens, spacious bathrooms with walk-in showers, and amenities such as a minibar and Nespresso machines. On the top floor, the sprawling Presidential Suite embraces you in the lap of luxury while you revel in a panoramic view of Ghent and the courtyard garden from the beautiful balcony. The hotel’s resplendent two-bedroom, two-bathroom gem (one of them with freestanding tub) has a dining room with a large table, a living room that boasts a fireplace, two gorgeous terraces, a private lift and a separate entrance. Meals at the restaurant are prepared by Mélanie’s father, chef Pascal, who serves up fresh, homemade dishes made using local, seasonal produce. The airconditioned, panoramic restaurant is the perfect spot from which to admire the Alsace vineyards, all while enjoying France’s famous gastronomy. covered, ranging from the magnificent Château du Haut-Koenigsbourg to the Europa-Park theme park in Germany. The NaturOparC stork park is only one kilometre away and the nearby traditional villages of Eguisheim, Riquewihr and Kaysersberg – named France’s favourite village in 2017 – are a must. “We have lots of traditional Alsatian specialities such as ‘choucroute’ and ‘baeckeoffe’, as well as more creative dishes for people who want to try something different, such as our foie gras burger,” reveals Mélanie. Meanwhile, oenophiles will not want to miss the opportunity to sample and buy wine from some of the 1,000 wine growers situated along the Wine Route. Ready to start planning your trip today? Check the hotel website for special tariffs and offers. 18 Avenue de la Porte-Neuve L-2227 Luxembourg. A grand expansion For some people, that relatively simple business would have been enough, especially as it evolved into what is very much a family concern: “My wife has been very important to the company since the start, and my daughter Kelly joined after she became a master pastry-chef. And now my son Dustin is working on the marketing side,” he says. But Hoffmann had other ideas. As 2017 ended, it was announced that his company was acquiring the 16 shops, restaurant and production premises of long-established Luxembourg rival Schumacher, investing 16 million euros into upgrading their facilities. “We changed overnight from around 30 employees to 230,” he states, “And to be able to achieve what we want to do with the business, we expect to increase that to 280 or 300 before too long.” The bakery business is known for its anti-social hours, but to integrate the two parts and oversee the new investment projects Hoffmann has gone further, actually installing a camp bed in a windowless broom cupboard next to his office in his new production facility in Wormeldange, and spending most nights there. Children’s Games, Pieter Bruegel the Elder, 1560, Courtesy of Kunsthistorisches Museum, Vienna. spicy taste of garlic couldn’t count on that much enthusiasm. The white bulb even became a symbol for all the negative effects of immigration, resulting in popular insults like ‘garlic eater’.” Clearly, the way we experience food evolves with time. Asked whether our taste levels are better today than they were throughout the last centuries, Van der Woude has difficulties giving a clear answer. “We are definitely more aware of what we eat today. But that doesn’t necessarily mean we eat better. If you look closely at the development of our diet, you see that it doesn’t go in a straight direction. Most products come, go and come again. It is not a linear evolution but rather a repetitive wave motion. So, do we eat better than we used to do? Let’s talk again in 100 years and I will give you an answer to that question.” Discover Gruwelijk Lekker at the Holland Open Air Museum until the end of January 2020. The Holland Open Air Museum At the Nederlands Openluchmuseum, you can wander through the entire history of the Netherlands. For 101 years already, the museum has collected the nicest historic buildings and objects from the country in its enormous walking park. Peek behind the walls of the mill, the village, the estate and many other amazing houses and meet its colourful inhabitants, who are ready to tell you all about their lives and eras. In the permanent, interactive exhibition The canon of Dutch history, the entire history of the country is summarised in 50 extraordinary people, moments and evolutions. While talking about gastronomy in the Benelux, products like Belgian chocolate or Dutch cheese immediately come to mind. Yet, to experience Benelux cuisine in all its glory, you must try its many local dishes. Most of them have been around for centuries but are still unadulterated crowd pleasers on many a dinner table. Taste the rich history of the region in one of its exquisite restaurants or take the chance and cook a Benelux delicacy yourself. Hutspot In all corners of the low countries, you will find similar dishes of mashed potatoes and vegetables with a myriad of different names. In Belgium, they talk about stoemp or stamppot and, in the Netherlands, it is called hutspot. Regardless of what you call it, the mash usually consists of potatoes, carrots and onions. Nonetheless, variations with kale, endives, Brussels sprouts and many other vegetables are common as well. The exact origins of the dish are unknown, yet, a kind of hutspot was already eaten in the Netherlands during the 15th century. That was without potatoes and carrots, of course, since they only reached Europe during the 16th and 17th centuries. Instead, they added parsnips, plums and, if they had to, even cats and dogs back then. Where soup is just a light starter in most countries, the Dutch have elevated it to a potential main course. If you order yourself a plate of snert, you will be served a soup of green peas which is about thick enough to stand a spoon in. To make it even heavier, big chunks of rookworst float through the green brew while a piece of rye bread is served on the side. Afterwards, it is traditional to also eat a pancake. The oldest recipe for snert dates back to the 16th century, but the dish remains very popular today, especially in winter. In the city of Groningen, you can even compete in the annual Snert Cooking World Cup. Endives in the oven The Belgian endives as we know them today were invented about 150 years ago when a farmer planted his chicory in the dark, humid basement of Brussels’ botanic garden. To his surprise, this kept the vegetable white and crunchy. Today, the white crop is the second-most popular vegetable in Belgium, with an average consumption of seven kilogrammes of it per year per person. Although it can be very tasty in a salad as well, most people prepare them in the oven with a silky cheese sauce and wrapped in ham. This softens up its slightly bitter flavour and makes them popular among children too. Hete bliksem (or: hot lightning) is an oven dish with mashed potatoes, onions and sweet and sour apples. Since the dish is very moist, it stays hot for a long time (hence its name). The dish saw the light of day during the Second World War when the Netherlands was plagued by famine and scarcity. The rare products that were available every so often were typical Dutch things like potatoes, onions and apples. Today, most people spruce up their hete bliksem with a crunchy blood sausage on the side. Tomate-crevettes When on a trip to the North Sea coast, you have to eat its delicious brown shrimps. In Belgian coastal towns, they master the art of preparing them to perfection, resulting in finger-licking good shrimp croquettes. Even more traditional than these fried delicacies is the tomate-crevettes: a hollowed-out tomato stuffed with shrimps and mayonnaise. With just three ingredients, the dish is ingenious in its simplicity. Yet, as the Belgian tradition dictates, some crispy fries must be served on the side. Waterzooi Since the Middle Ages, the citizens of Ghent have loved their Waterzooi. This soup is made of vegetables, potatoes, cream, and chicken and is eaten with bread. In the early days, however, the dish was prepared with fish instead, which they caught in the city’s river. Throughout the years, fish became scarce because of the increasing pollution of the town’s waters, forcing them to switch to chicken. According to legend, the Holy Roman Emperor Charles V would have been addicted to Waterzooi. He never spent a day in Ghent without eating it. self-deprecation than her humour-shy predecessors. She was an integral part of the avant-garde feminist movement of the ‘70s, and was the first female professor of painting at the prestigious Academy of Applied Arts in Vienna. Ways of Being is a rare opportunity to see over 200 works, including paintings, films and sculptures that archive Lassnig’s intense dedication to making art, and her experience of the world. The show is set to be a riot of emotion; funny, dark, beautiful and bleak all at once – much like the world she was depicting. Ways of Being is on view at Stedelijk Museum from 6 April to 11 August 2019. Matt Antoniak is a visual artist and writer living and working in Newcastle, UK. He works mainly in painting and drawing and is a founding member of the art collective M I L K.
The flavour seems to change from an initial tartness, through a dry floral hoppiness before revealing an underlying sweetness as it rolls across the tongue. It leaves a pleasantly floral taste. The intensity and complexity may be too much for casual beer drinkers: this is one of those beers that elicits raised eyebrows of surprise before nods of approval. Each mouthful reveals more depth of flavour, so this really is a beer to savour rather than to pair with food. Fans of traditional IPAs may find this is too much like a sour. The multifaceted character of Fleur Sauvage ensures it is a beer to remember. Brewer: De Dochter van de Korenaar Alcohol content: 6.0 per cent Stuart Forster was named Journalist of the Year at the 2015, 2016 and 2019 Holland Press Awards. Five generations of his family have been actively involved in the brewing industry. Promoting Belgium, The Netherlands and Luxembourg.